It looks like that little tramp Supergirl Barbie didn't take too kindly to my righteous ranting. 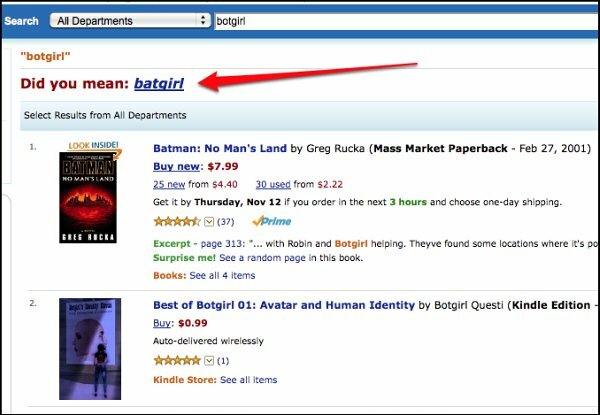 Instead of flying off into the sunset, she's obviously enlisted her fellow DC superbimbo, Batgirl, to sabotage the release of my new Best of Botgirl e-book for the Amazon Kindle. Follow the arrow above for the clear evidence of their subterfuge.